Jagr's deal with the Flames was announced on Monday, October 2. 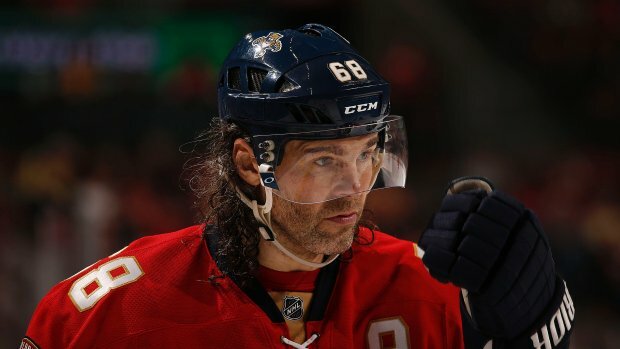 CALGARY, ALBERTA CANADA—Ladies and gentlemen, Jaromir Jagr, 45, has finally been signed! After three months in the free agency market, the Czech Republic native closed a one-year deal with the Calgary Flames on Monday, October 2. Jagr will be issued $1 million and potentially another $1 million in bonuses. He anticipates this will be his final season in the NHL. Last season with the Florida Panthers, Jagr had 46 points, comprised of 16 goals and 30 assists, a plus-2 rating, and 56 penalty minutes. It was at the end of the 2016-2017 season that the Panthers decided against re-signing him. “I’m not thinking about the total number of NHL games. It’s true that when I got back to the NHL (in 2011), I told myself I would very much want to get to 2,000 [NHL] points. But it’s still far away. 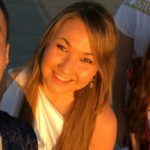 I didn’t expect it would be so hard to get a job in the NHL this year,” Jagr said in August when he was still a free agent. The St. Louis Blues were reportedly in the market for Jagr over the weekend, though their general manager, Doug Armstrong, confirmed that he would not be signing with them. Since sealing the deal with the Flames, Jagr’s teammates have noted kind remarks about the NHL veteran. “You’re bringing in a guy who’s been one of the best players in the League for a long time and he’s still really effective, still really hard to play against. He protects the puck so well and makes so many good plays down low. If it does happen, I think it’ll definitely help,” said Flames captain Mark Giordano. “I think to kind of put it in perspective, he came into the League and I was five years away from even being a thought. It’s crazy to think about. He was winning MVPs before I was born, winning Cups before I was born,” said left winger Matthew Tkachuk (the son of Keith Tkachuk, who retired from the NHL in 2010). Jagr will be joining a franchise with a familiar face, Head Coach Glen Gulutzan, for whom he played in Dallas. “When I had him in Dallas, he was fantastic for our group. He was effective. He’s a big body. He’s fantastic below the circles. Hockey IQ like you’ve never seen. Hands. He was real good. We ended up moving him at the end of that year to a playoff team (the Boston Bruins), but I can say he was really good for our group in Dallas,” Gulutzan said in a statement. The 6 feet and 3 inch tall, 230-pound right winger has spent plenty of time on the East Coast. He made his NHL debut with the Pittsburgh Penguins in the 1990-1991 season at the age of 18. He would play for Pittsburgh for the following 10 seasons, until 2000-2001. Jagr was then traded to the Washington Capitals in 2001-2002 and then again to the New York Rangers during the 2003-2004 season. After the 2007-2008 season, he returned to his native Czech Republic and played there for four seasons. He returned to the United States for the 2011-2012 season and joined the Philadelphia Flyers, then to the Dallas Stars the following year (2012-2013), to the Boston Bruins that same year, then to the New Jersey Devils in 2013-2014. During the 2014-2015 season, he was sent to Florida where he has played for the past three years. At 1,914 points, the legendary Jagr trails Wayne Gretzky, the greatest player in NHL history (who posted a total of 2,857) in that category; he surpassed Mark Messier when he hit 1,888 points. With 1,711 career games under his belt, he is 56 short of tying Gordie Howe for most games played all-time. He scored 765 career NHL goals, 36 short of Howe (801), who is ranked second all-time, and 129 behind Gretzky (894), who exceeds Howe for first place. Jagr may have actually been further up there in the rankings with Gretzky and Howe had he not spent four consecutive seasons in his home country. During parts of his career, he made appearances with both NHL and Czech teams. This coming season will be Jagr’s first playing for a Canadian team, and the ninth NHL team he has played for in his career. Click here to view all of Jagr’s honors and awards. Next article“How To Get Away With Murder,” Back For Season 4!